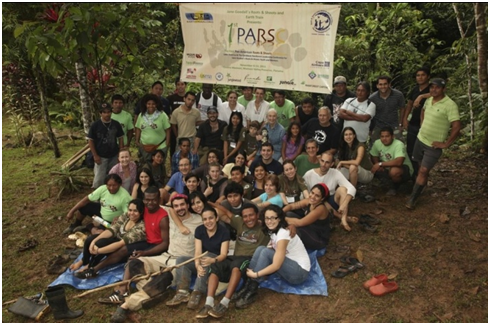 In representation of the Pro-Bosque Foundation and for Ecuador, Tania Rios participated in the First Summit for Latin American Leaders for Roots and Shoots with the participation of this founder and mentor Dr. Jane Goodall, held in Valle Marmoni, Panama from November 6-14, 2011. 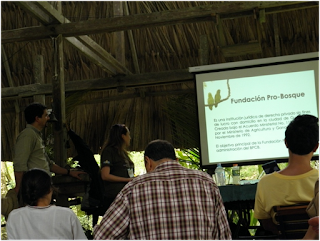 In addition to conferences, workshops, hikes, and coexistence exercises with nature, the participants of 13 countries presented their projects from their countries and shared experiences to strengthen the group proposal. 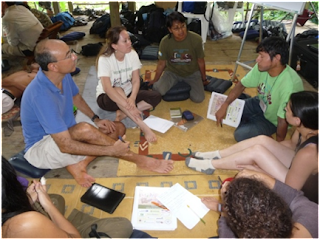 The objective of Roots and Shoots is to implement environmental change through the promotion of active learning and interaction with nature.